Wednesday I had the opportunity to engage in one of my favorite activities-drinking wine. Then, learning about the wine in front of me. The VinItaly US Tour 2011 made its second US stop at NYC’s Metropolitan Pavilion with Russia, China, Germany and Sweden still on the roster of countries that will host the exhibition between October 2011 and November 2012. The exhibition was created to spread the knowledge of Italian wines around the world and to showcase some of the more famous wine producing products and wine growers of Italy. The event features in-depth seminars, wine professional training and workshops, B2B events, and of course an opportunity for producers to meet with buyers, distributors and food & beverage managers. Having much more knowledge of French wines (thank you Olivier! ), I decided to attend two seminars that would serve as a basis of understanding for Italian wine. The first seminar focused on the white wines of the volcanic regions. With ten wines to explore, this session highlighted the terroir (soil composition) of each wine’s origin and discussed their unique characteristics. These volcanic area’s soils are rich in minerals and provides the perfect composition for these delightful white wines. Soave, the Phlegraean Fields, Ischia and Etna are all important and distinct white wine production areas. Soave is the largest production area in Italy specializing in white wine production. There are over 6,500 hectares devoted to the indigenous grape varieties Garganega and Trebbiano di Soave. The vineyard soils of this region are considerably less fertile than the alluvial soils in the plains. The soils in the western part of the Classico zone (the specification “Classico” with the designation “Soave” is reserved for wines from grapes harvested from the hillside vineyards around the municipalities of Soave and Monteforte d’Alpone) contain a high percentage of limestone which retains the warmth of the afternoon sun and helps produce fuller, more fruit-forward wines. In the eastern vineyards near Monteforte d’Alpone, the soils are made of decomposed volcanic rock that tends to produce bolder, more complex wines. The wines of the Phlegraean Fields are produced on volcanic soil rich in ash, lapilli, pumices, tuffs and microelements that yield very attractive aromas and flavors into the grapes and wines made from them. A fascinating aspect of this region is that the wines from the Campri Fiegrei D.O.C. are produced with grapes from ungrafted vines. This was one of only a few areas in all of Europe to not be affected by the attack of Phylloxera that devastated the vineyards in the second half of the 19th century. (Santorini’s volcanic wine production area was also unaffected. Must have been all the ash in the soil that drove the bugs away!) While the rest of Europe’s vineyards now have been grafted with American rootstock, this area’s vines remain on their own original roots. The Ischia D.O.C. produces three grape varieties, Biancolella, Foraster and Per’e Palummo (Piedirosso). The area’s complex soil of tuffs, lavas, pumices and an absence of calcium carbonate, but substantial sodium and high levels of potassium impart to the wines an almost almond like taste with delicate aromas. The vineyards of the Mt. Etna region grow on sandy soils with substantial stone content. The high altitude of many of the areas vineyards lends itself to producing wines with a great freshness and elegance as well as longevity. Etna also has the distinctive characteristic of being a region that produces not only white wine but also red wine produced from the indigenous grapes of Nerello Mascalese and Nero Cappuccio. I believe that personal tastes should always influence your wine purchasing decisions, not so much what publishers or critics declare is best. 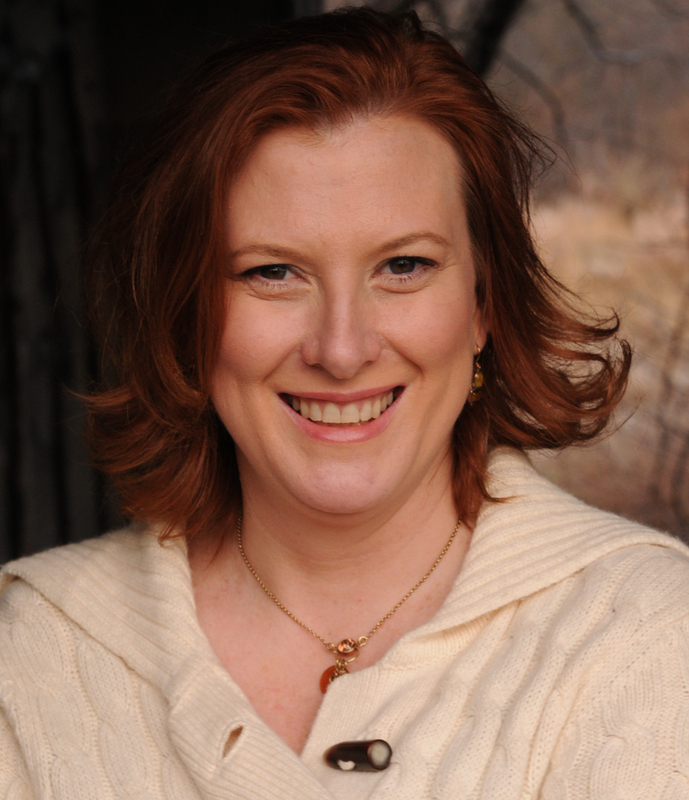 It is important to develop your own “tongue”, so to speak, of the characteristics you enjoy. That being said, for me, there were two notable wines that I really enjoyed. 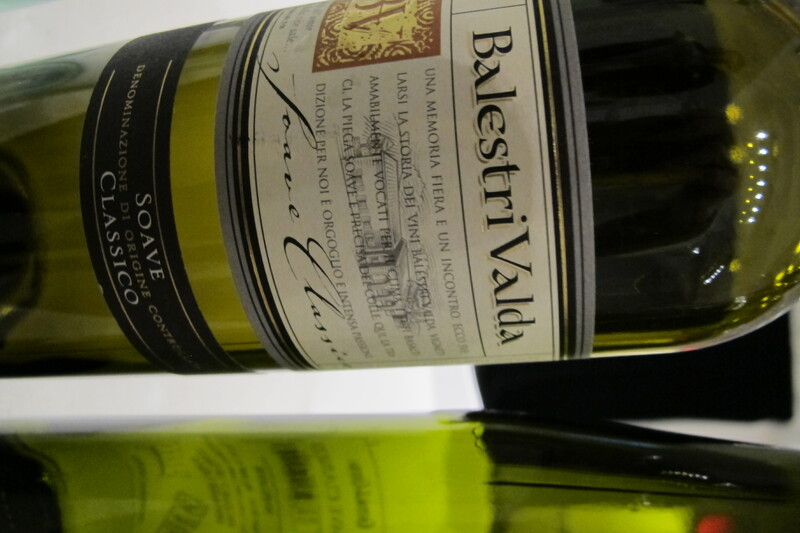 The first was the 2010 Soave Classico Balestri Valda. It was deliciously crisp and well-structured with good minerality and smooth finish. It also felt like it has the potential to improve further with a bit of age. 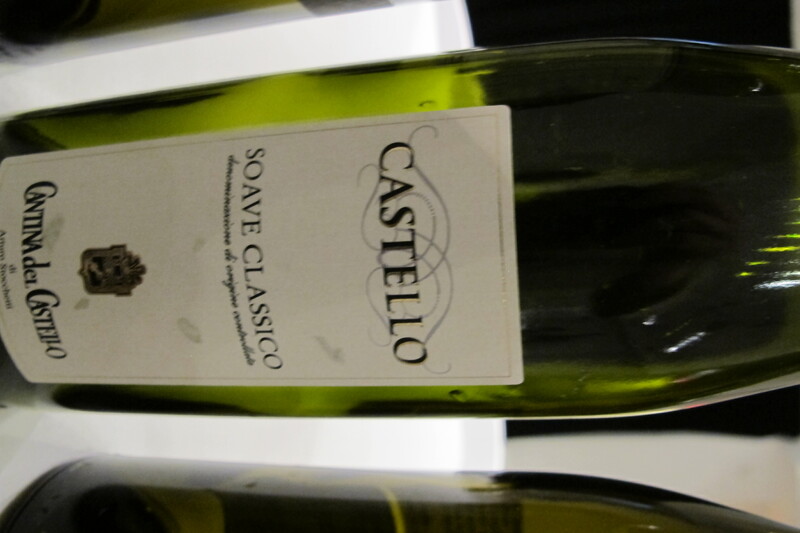 The second wine on top of my list was the Soave Classico Castello 2010, Cantina del Castello. With a nose of peaches, apricots and almonds and a soft finish, this is the kind of wine you could drink every day. It’s refreshing and smooth but fills your mouth with flavor. I hope to try many more Soave wines. They are far better than you would think they are. Salut!